Where in the world is Jenny Woodenmum? : Look what was happening in Brittany this weekend ! Look what was happening in Brittany this weekend ! 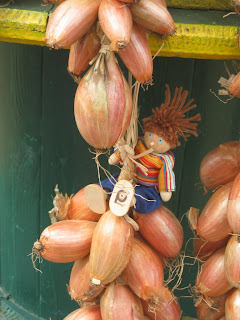 When we discovered that it was "le festival des oignons roses 2010" (the 2010 Pink Onion Festival) in Roscoff on the coast of northern Brittany this weekend, we had to go and have a look. After Jenny being famous in Turkey, this time it was Johnnie's turn to get stars in his eyes ! 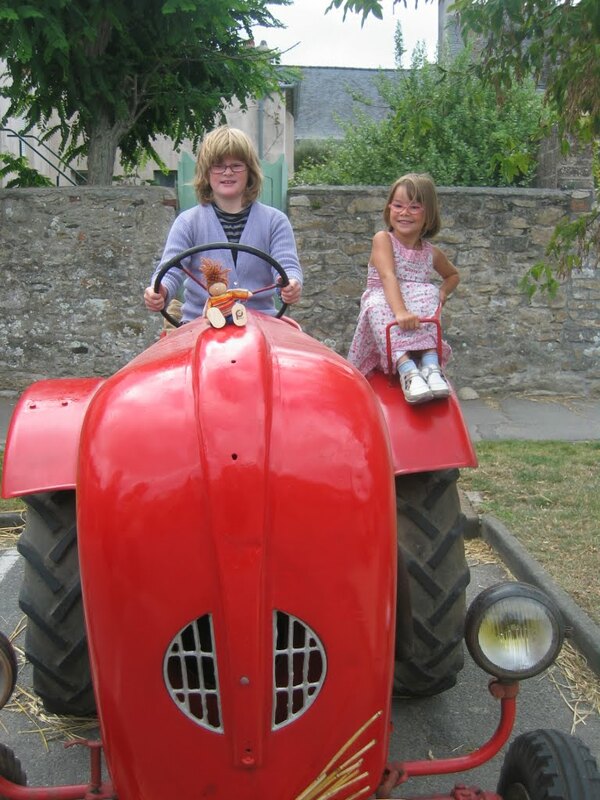 Johnnies are what they call the French people from Brittany who used to take their strings of onions over to England to sell. 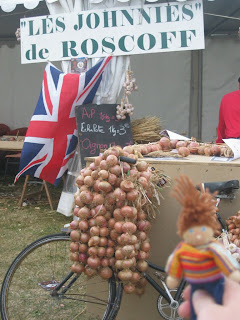 There's even a "musée des Johnnies" in Roscoff ! Time to head off to the fields and help pick the onions - don't fall off Johnnie !